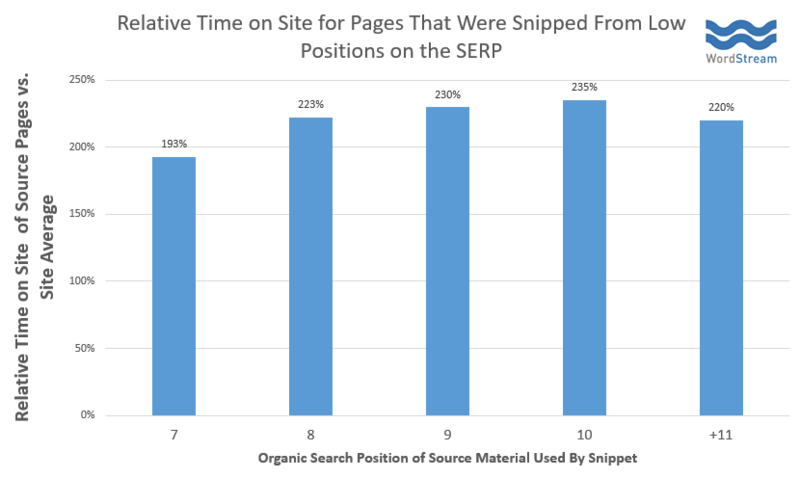 Even if you’re already ranking #3, you can land yourself a big spot at the top of the page -- just 30.9% of featured snippets are taken from content at the #1 spot. For structured data, Google displays a table snippet for better readability. It doesn’t grab the exact table from the content -- instead, it re-formats the data to make it more useful. You will see a list of all the keywords your site ranks for on the first page that contains a featured snippet. These are your "quick-win" opportunities. 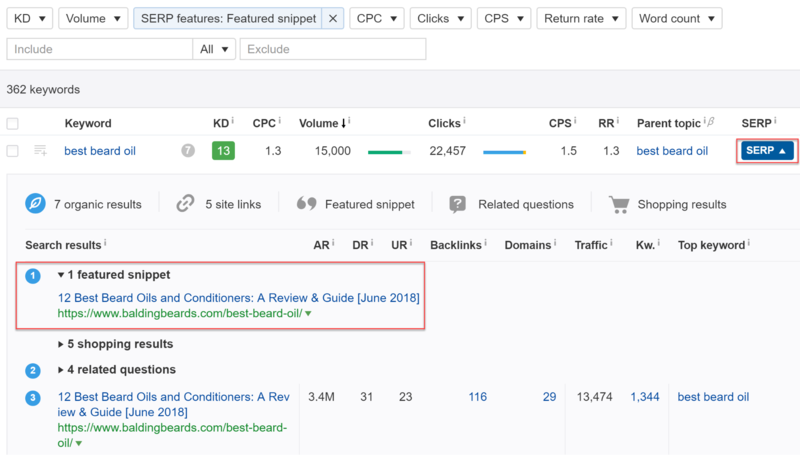 Next - you’ll want to start analyzing the featured snippets for each of the target keywords to see if there is any opportunity to steal the snippet away from the competition. Google is looking for a short paragraph -- around 50 words -- that gives a direct answer to the search query. Some information -- like the relationship between features and pricing or protein and calories -- is best marked up as tabular data. Don’t wait for Google to notice your newly optimized content -- use Search Console to get it indexed fast. This is a simple process. Perfect timing as I’m working with a couple home improvement websites that getting into position 0 could be helpful. Thanks Robbie…. Hi Robbie, the great thing about getting featured snippets for your content is this: even if you’re not ranking at position 1, 2, or 3, you still can enjoy a ton of traffic to your sites and I observed this with my own posts as most of them although are not ranking on top 3 results, they are still getting good visibility because of featured snippets. I often prefer writing strong sub headings using h2 and h3 (mostly I try to incorporate LSI keywords) and try to answer users questions instead of using random sub headings. 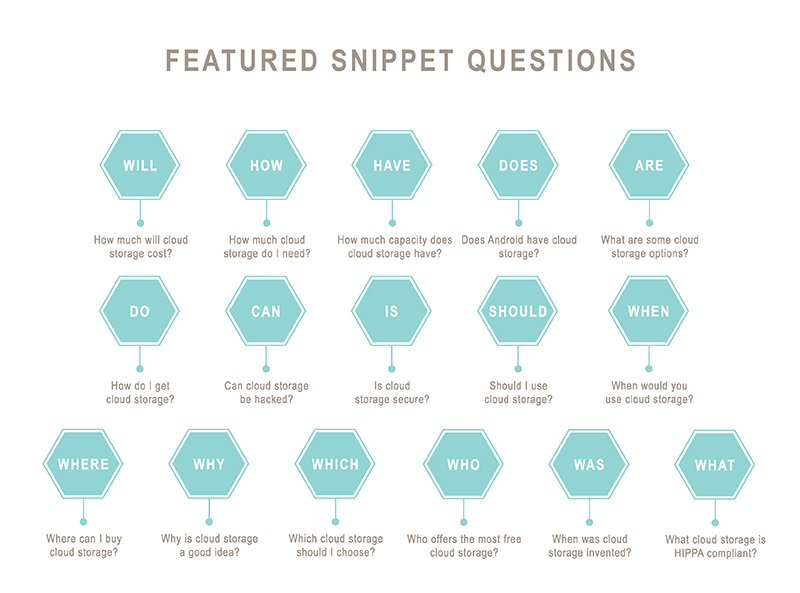 It works well for our site to get featured snippets. Thanks for the write up, as it can help others to get more traffic. Keep up the great work Robbie. Thanks for the insights, Anil! 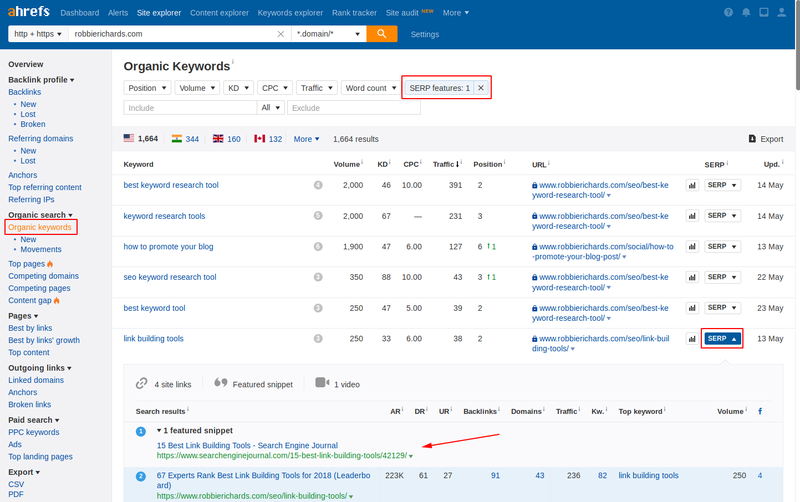 Question: I’ve noticed that a lot of the keywords that Ahrefs says has a Featured Snippet don’t actually appear in the SERP unless you’re searching for them using the exact-match keyword (i.e. – searching for it in quotations). Would you say it would be worth our time to target these particular keywords? I would venture to say that most “normal” internet users aren’t searching with phrases in quotes…so I’m wondering if it would be worth the time to try and steal those Featured Snippets. Hey Vin! Interesting. I would focus more on the higher volume topical terms and verify the snippet placement. Great Post , really helpful! I have a few query if you can solve it here, actually it is regarding keyword research and its tools. 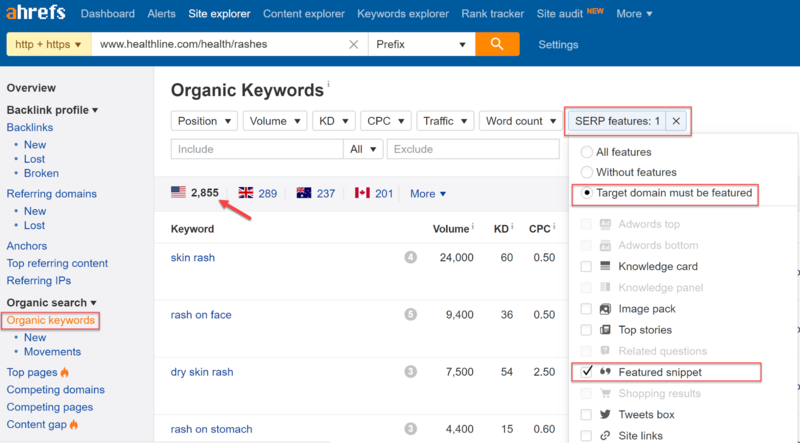 Today i was doing keyword research for one of my site to increase the Organic Traffic through three tools : Ahrefs, keyword planner and google keyword forecast. While using all of three, i could not judge which one could be most correct, actually the main problem is while finding and searching new keyword, few keywords have good searches (Between 1k to 10k) on google keyword planner, but when i see or check those same keywords in Ahrefs and Google keyword forecast(Exact Match), it is showing O/Zero searches / impressions, and the things are that those keywords are important for me, So which tool i must trust most to get and find keywords to increase the Organic Traffic. Hope you can get time to help me out in this matter. I look at tools like Ahrefs and SEMrush. For example, Ahrefs uses click stream data which can give better insights into traffic potential. 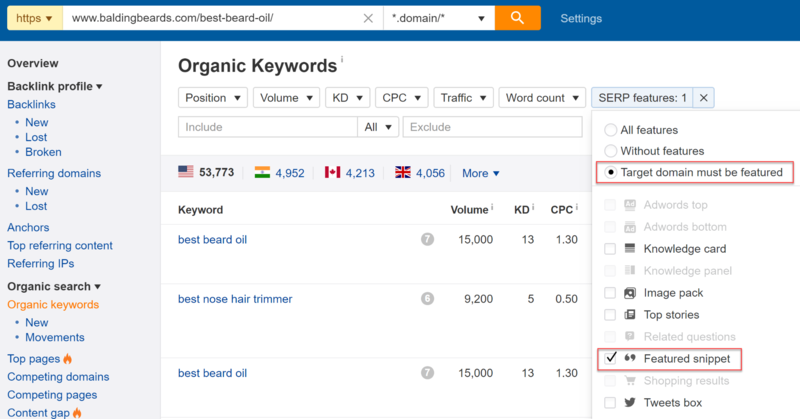 Grab the URL of the content ranking in position #1 for one of your primary keywords and drop it into the Ahrefs Keyword Explorer. Then, take a look at how much traffic that page is getting. If it looks good, drill into all the secondary keywords too. That’s how I am starting to gauge which topics to go after. I don’t look at Keyword Planner. 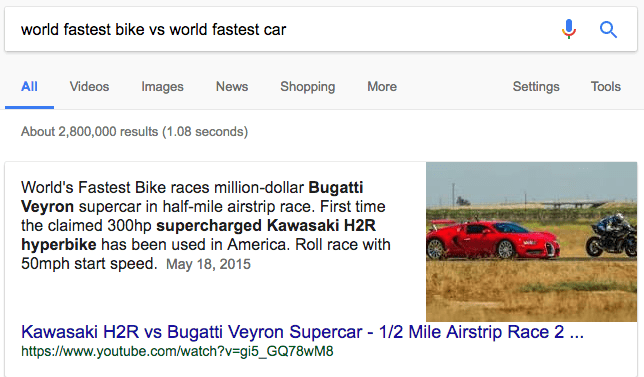 What sites have you ranked with these featured snippets? And do you have a screenshot? Michael – I’m in the middle of running some tests for a case study section in the article. Up to this point, I’ve mainly been researching what it working for others, and implementing for clients with some good leading results. I’ll update in the near future with my personal site results. Fantastic post. I still don’t understand how Google picks text for Answer Box. It gives a lot of importance to Wikipeidia and other famous definition websites for informational intent searches. 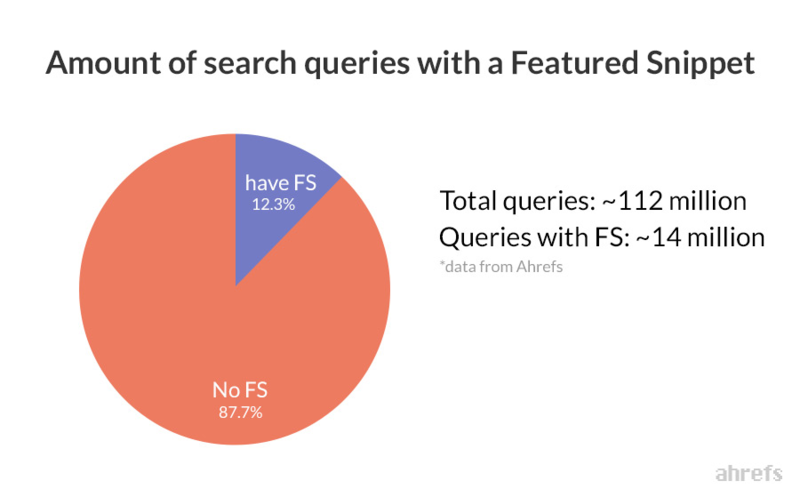 I’m actually pretty surprised to learn that featured snippets only get 8.6% of clicks. I imagined it’d be more. 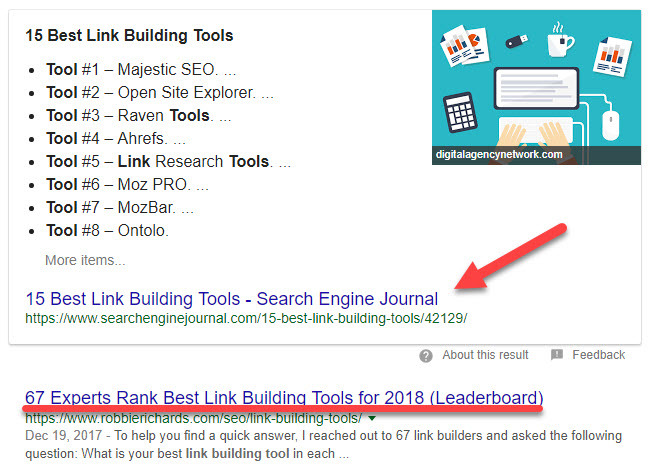 But even so, if you’re ranking in position 3 or 4 but your page is also featured in the snippet, that’s a pretty strong indicator to any searchers of your brand’s authority and thought-leadership. Great for brand awareness! Thanks Pierre! I was actually a little surprised too that it was single digit percentage. Agree – I think the brand signals are being baked more and more into different elements of the algo updates. Jyoti – hmmm I’d at least get the site live (homepage, blog article etc). Not sure who is going to link to a shell or parked domain page. Not sure if you have seen already, but you might also be interested in the new course I have built (launching again soon): https://www.robbierichards.com/seo-course/. Either way, appreciate you reading the blog! 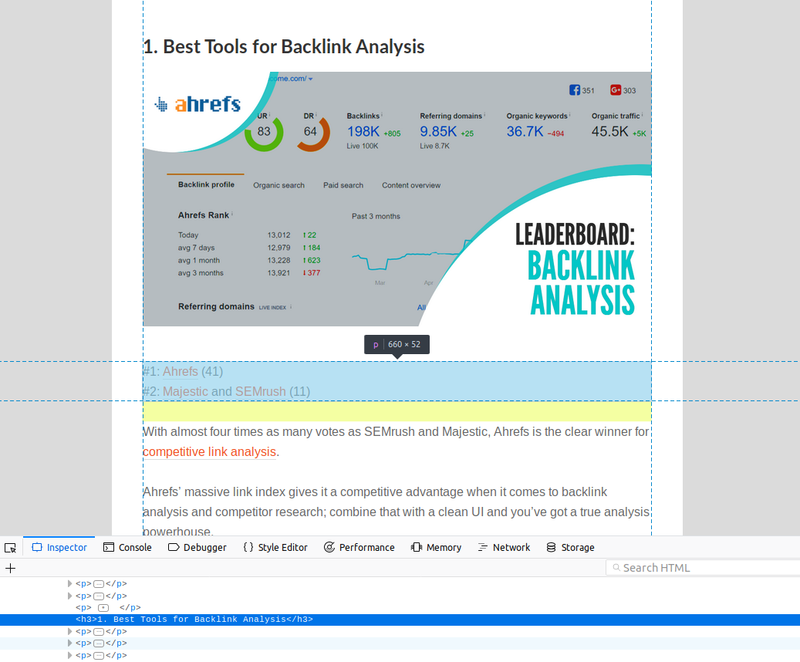 I’ve lately been optimixing every one of my articles for snippets and have seen a few results. You tips just came in at the right time. Thanks man! robbie you nailed it. But can please create a post on this topic by using free services if it’s possible. Thanks! I try to include free alternatives where possible. But, often you need to pay to play (seriously). Wow Robbie. Awesome post i was asking this time ago and now you telling me how to do it wow, I’ll try and I’ll know thats gonna give me a great results.. Lets see what happen, Robbie usually how long google takes to indexing this kind of snippet? This only works with h2 right? Tks robbie and. I’ll continue learn from you.. Submit the article through Search Console and it should be within 24-48hrs. Could take a few days for the indexed article to win a snippet. Just depends. The list snippets typically draw from the h2s, correct. Thanks, Robbie. This post was really helpful. I’m just starting to better understand snippets. What’s interesting is that I thought it was far more technical than that and that I’d have to do some coding. Nope, just structure content well and write good content. sometimes google not show the 0 positions why? What’s the reason behind this please help me to find out. A lot of it comes down to the intent behind the query? 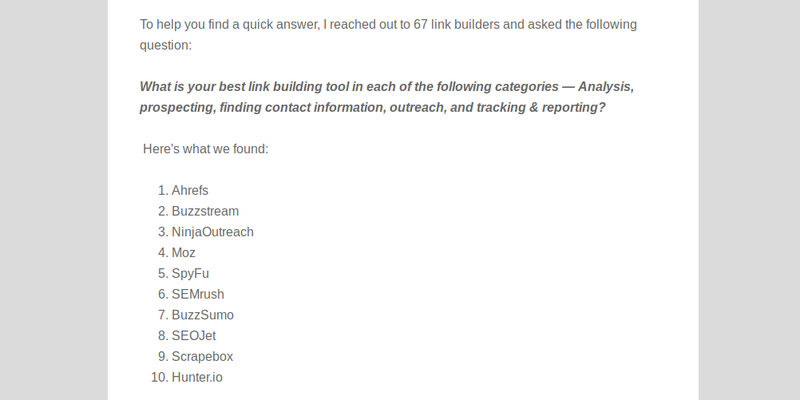 Basically – can the question be answered with a snippet in the SERP…Only 15-20% of the SERPs have a snippet right now. This is an awesome guide, Robbie. 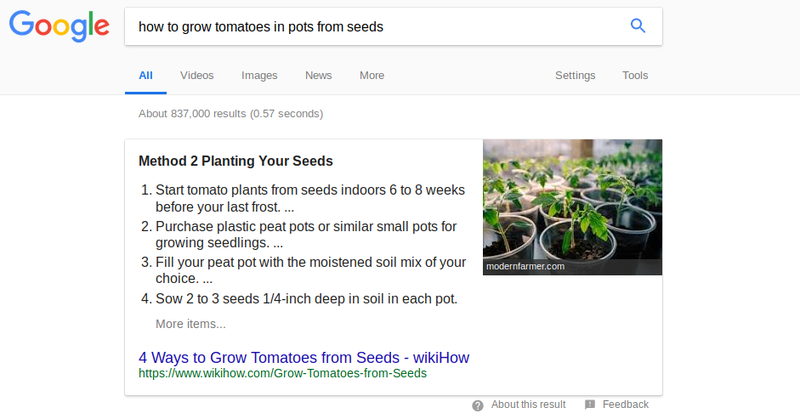 After reading your article I found many problems in my articles and now decided to edit them accordingly to target for the featured snippet. Tons of thanks for writing this article. Thanks Santanu! Let me know how it goes. It’s very much helpful to land in the feature snippet. Most of my articles are ranking. First page. But still I’m not still the feature snippet spot. Have to put effort to rank there. It’s very much useful understand the Google feature snippet. Thanks for sharing here. 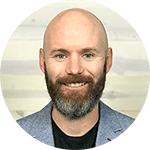 Robbie this is a fantastic post and yes featured snippet plays a crucial role in SEO as it gets ranked higher in search engines the chances of CTR for the featured snippet is very high when we compare that with the normal search results. Thank you very much. I will definitely do these things for my website. Hope that will get good results. Wish you always happy and successful. Fantastic snippets guide here Robbie! If you didn’t post your affiliate link, then I’d be begging for it! Have just joined Ahrefs through you. Cheers for the helpful advice here. Hahaha awesome – thanks Joshua!